The Gatorade Company is the sports fuel company trusted by amateur, college, professional athletes since 1965. Revenues in 2013 were reported as 3.3 billion USD and Inventor Royalties surpassed 1 billion since its creation. To reach consumer relations call 1-800-884-2867 or look here. If you would like to reach CEO, Susan D. Wellington address an envelop to her at 555 W. Monroe Street, Floor 1, Chicago, IL 60661. Created by the University of Florida in 1965, sold to Quaker Oats and now owned by PepsiCo recent featured products include: G2, Protein, and Endurance which address the three areas of sports fitness called Prime, Performance and Recovery. The Gatorade Dunk is a traditional soaking of winning coaches on sports fields around the world. Social presence is found on Twitter, Facebook, and YouTube. 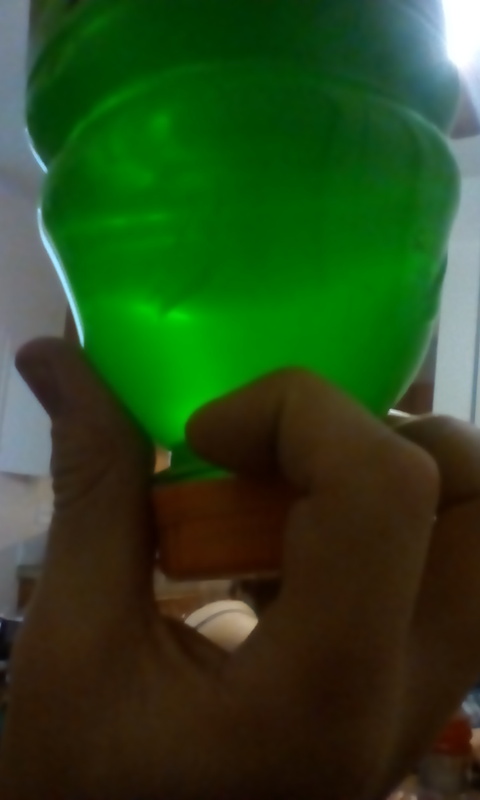 My complaint is that I have purchased many Gatorade squeeze bottles in the past, and they constantly leak. I continue to buy Gatorade products because I am loyal to the brand. Since I keep buying these bottles hoping they won't leak, I keep getting disappointed with this product. Severe diarrhea after drinking a bottle of sugar free Gatorade. Horrible cramps and discomfort! I recently put a complaint in on your smaller size Gatorade bottles and you got back to me and said it was because it was easier to grip. What does the indented bottom have anything to do with grip? It does not. The store that I used to buy the Gatorade at I don't anymore I buy the Powerade it's cheaper and you get more of it and it's just as good. All my friends switched over to Powerade also the owner of the store doesn't even order it anymore because it just sits on his shelves cuz nobody buys it cuz they're all buying Powerade instead. People aren't stupid you try to fool us and it backfires. Have a great day! Your twist caps are IMPOSSIBLE to open! I'm a perfectly capable 30 something adult and I have to ask my husband to open it every time! This is highly annoying and inconvenient. Please, I can't be the only one to have complained about this. 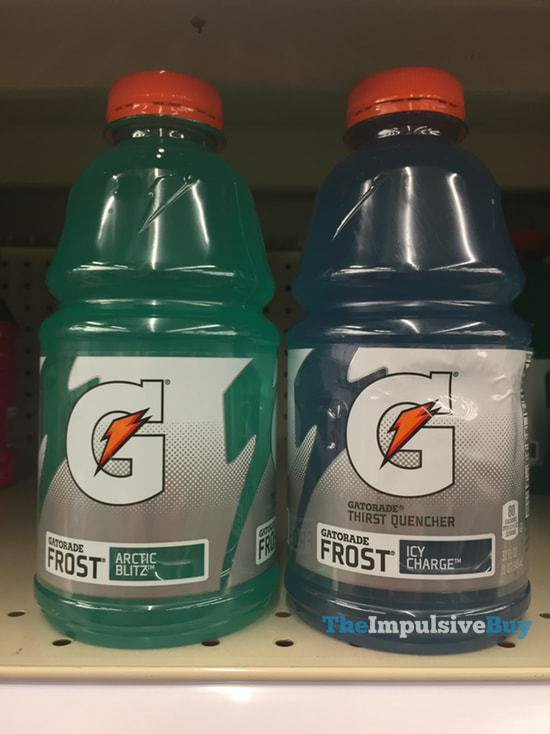 I recently purchased several 28 FL Gatorade Flow Thirst Quencher ( Kiwi Strawberry ) I do not drink Gatorade however my son's, husband and co workers do. So I buy quite a bit for home and office. I believe their is an issue with this flavor, my son drank 2 28FL bottles but, his third one he claimed tasted like someone urinated in it or had a rotten taste to it. I dismissed it at the time then a few days later my husband was drinking one and made the same statement. I again dismissed it, now at wok my employee brings me a bottle of the same flavor, and states the same thing. This flavor or batch needs to be checked. I reside in Texas, one purchase was made from Albertsons grocery in in Fort worth Texas the others were purchased from Mobil gas station in Wells Point Texas. I am considering having this bottle sent off for testing to see what this rotten/urine like taste could be. I am extremely concerned this could be a health risk. has anyone else noticed the so called 6 gallon powder is only 5 1/2 gallons? ispoke to company many times about this but its still going on today just opened a new can sure enough 5 1/2 gallons is all it is False Advertisement in my book finally got enough and told them i would like my money back for all the cans i purched over the years they said they would look into it again sad day in America. 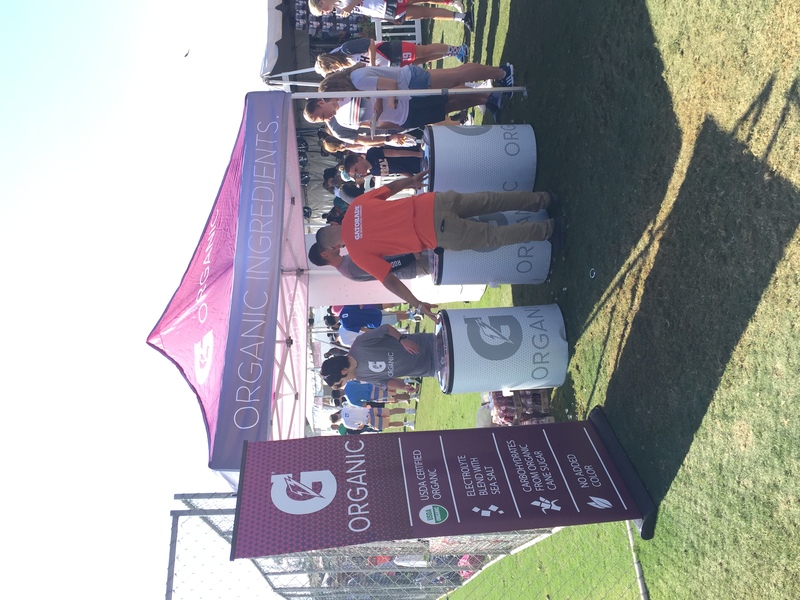 At the Santa Barbara lacrosse tournament today, Gatorade had bottles of the new organic Gatorade. They weren’t letting people take them out of the bins, you had to wait in line....I wanted to bring one to my daughter who was almost at halftime, the Gatorade promo guy said, “ sorry, only the players can have these”. I told him I was bringing it to my daughter, all he said was, “NEXT”. Hmmmmm...maybe they should think about who is doing the grocery store shopping. I am writing to you because I am a long time buyer of Gatorade product and my last experience with the drink really made me unhappy. I opened one of the products to see that the inside white seal was damaged and not sealed correctly. It was a really hot day and when i decided to get my drink and have it I couldn't drink it because I couldn't take the chance of something being in my drink due to the improper white seal inside. I had to work the rest of the day very thirsty without anything to drink since there wasn't any stores around where i was working. I'm not going to lie, I wasn't a very happy camper with my last experience I had with Gatorade. I have attached a few pictures of the products I had along with the UPC and proof of purchase. I hope that management at Gatorade can make it back up to me again and regain my support. I am a coach of Monteuil Bantam BB (2002 and 2003 players) and we recently purchased 6 new gatorade water bottles at Rousseau sport and they seem to be defective. Whenever we screw on the tops, the water leaks all around them. I'm not the type to normal he complains but in this case the bottles were paid with the team funds and I don't feel it's right we should be buying new bottles again to replace the ones. Have purchased packages of Gatorade Frost in 12 oz. sizes. I am 76 yrs. old, have arthritis. I absolutely cannot open these bottles, even using grippers, etc. So, I cannot buy them in the future because I have no-one around to open, and my electric bottle opener won't go down small enough to uncap. 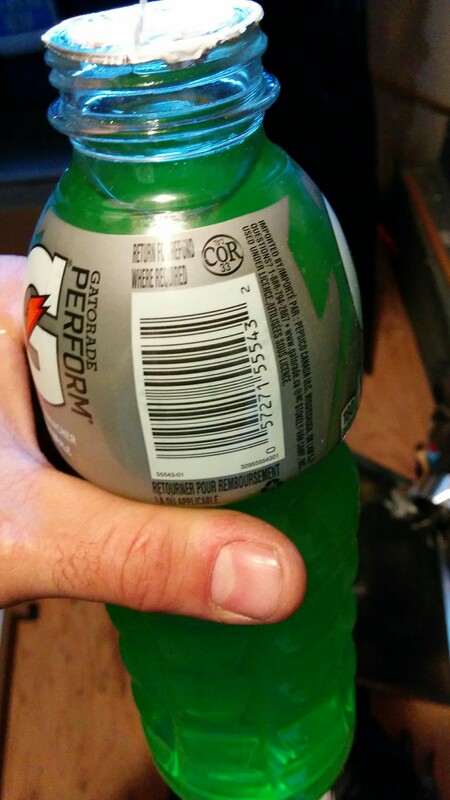 Can Gatorade not review their caps, possibly make it easy to open? I'm fairly disapointed in your Gatorade flavour called "Glacier cherry" when in reality it tastes like any old fruit punch and I don't even taste cherry. Our family has been using Gatorade for at least 15 years and the vast majority of the time we are very well pleased with this product. We normally buy at least one case of 32 oz bottles of GATORADE each week and when it is on sale we often buy as much as ten (10) cases in one shopping trip We currently have about 8 cases in the house. The Gatorade that we keep in our house is put up in the original boxes-plastic wrapped and kept in a closet that is air conditioned. Our problem is this, last year and again this year, we went to the closet to get several bottles to put in the refrigerator . We always make it a habit to shake up all the un-opened gatorade before putting in our refrigerator. My husband picked up one bottle of Lemon-Lime and turned it over to shake it and he saw a whole bunch of black specs floating in it!!!! This was the exact same problem that we had last year with the same flavor of gatorade. Last year over the summer, we had the exact same thing happen to 6 bottles of the lemon lime flavor. We decided at that time that we would not report it to u because those bottles were not in a cold, dry closet & my husband said that was probably the reason it happened. My husband takes two types of medicines that are not well tolerated with other drinks. Primarily he drinks three flavors-- Mango AM, Tangerine, and Extreme Mango. Some days he drinks 5 Gatorades in one day. 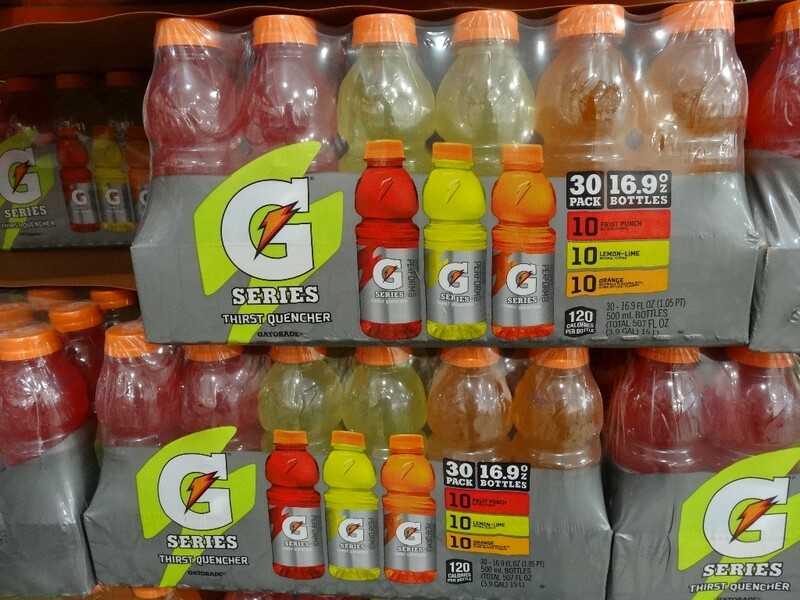 Use by date is 11/15/15 & UPC code is 0-520000338775 Please issue a credit & some coupons We love Gatorade!!! I have been drinking Gatorade energy drinks for more than 6 months now and I must say they have done me good. I feel energetic all day compared to prior. They hydrate the body leaving us refreshed. Gatorade contains carbohydrates to provide energy and fluid and electrolytes to hydrate in ways that plain water canâ¬t. I have started taking the protein shake and the whey protein bar since I have started working out. And these are doing me really good. I feel extremely fit and healthy. Thanks to Gatorade for such products.